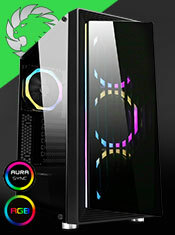 4x12cm Spectrum Dual-Ring Fans & 1 x RGB Strip - Nice! A High Quality Fully Moulded 3 pin UK plug fused at 5 amps to IEC C13 socket. 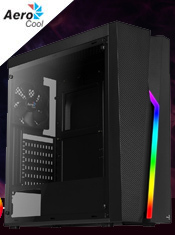 This is used for powering a monitor or PC and a whole host of other PC Equipment. The plug comes fully tested and is supplied with a fitted 5 amp fuse. 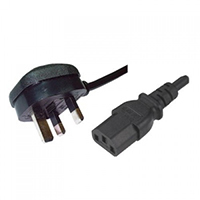 This plug is ROHS compliant ensuring the highest material standards in Europe.